As the prices of other cryptocurrencies are jumping this week, Litecoin is not left behind. 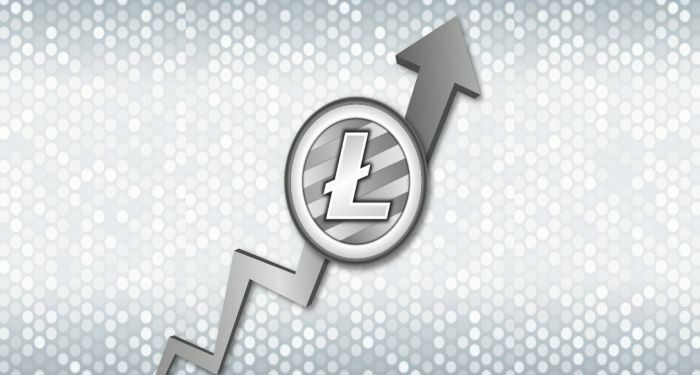 The value of Litecoin is flying high, and it experienced a drastic increase of 8 percent in pursuit of getting to the $200 mark. What is the current value of Litecoin? Is it still on the rise? The value of Litecoin went up on Tuesday morning, jumping up on a positive chart. The price of Litecoin increased by 6.85% on April 24, and its trading value was $161.83 as of 1:30 pm. Litecoin is not the only digital currency in the crypto market to experience this significant change, a lot of other cryptocurrencies did. Bitcoin jumped to a trading value of 9,316 USD, with Ethereum trading at $690, Bitcoin Cash going for $1,512, and the trading value of Ripple is $0.918. The crypto market continues to make progress despite the difficult Q1 the market faced. Is the Price of Litecoin on the Rise? Litecoin has encountered a couple of challenging months, and it has suddenly moved from that difficulty to become one of the strongest contenders in the cryptocurrency market. Back in March, the cryptocurrency was criticized severely in the news, when very popular crypto payment application, LitePay, announced the closure of all its operations not up to a week after it launched. LitePay apologized to their customers for the change, citing a management that is less transparent from the owner. 2018 Q1 saw the whole crypto market lose about 50 percent of its market cap within a period of three months. Litecoin encountered a lot of challenges which brought the value of the coin down to $120 all through the month of March. The same result was expected in April due to the threat of the US tax deadline, but it turns out the market survived it, and the value of Litecoin is on the rise.